going through this. They are two. I started thinking about the other children whose parents struggle with heroin. WAKE UP MARTINSBURG! WAKE UP BERKELEY COUNTY WEST VIRGINIA!!!!! These children of the heroin-addicted are the faces of the future of this town; of our community. HEROIN and ADDICTION is a cycle. IF WE DON'T DO SOMETHING NOW WHAT IS THE FUTURE OF BERKELEY COUNTY? Just go into the schools and look at them. TODAY'S CHILDREN ARE OUR FUTURE!!!! Yesterday I posted The Inconvenient Truth: The Devil At The Door... Heroin. I also wrote this two years ago. Have you ever heard that expression before? The entire State of West Virginia has been fighting another kind of war for many years. The War on Prescription Drugs as well as The War on Heroin. Who is winning? Have you ever wondered, just how did all of this start here in West Virginia? I scheduled this post to send yesterday evening, unfortunately Blogger didn't cooperate. I've worked with it in the past and know it can be stubborn and contrary at times. I just noticed it was still setting there waving at me. I am trying to free up a Friday to attend this class myself. Our petition continues to gain momentum and support. This morning I noticed we have 487 signatures and support for this treatment center here in Martinsburg. Thank you for the support! 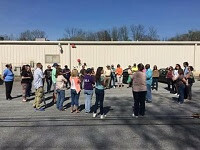 This blog is about making connections here in Martinsburg, WV and in Berkeley County for the resources that are available here locally. If you know of resources please be sure to comment and leave a link. If you would like to stay up to date with this blog you can go to the sidebar and sign up for email updates. OR you can join this blog as a member- that too is on the sidebar. I've tried to keep the information simple and easy to find on the sidebar. You will find posts by category if you are looking for something specific. There are also links to local resources. At the bottom of the blog are links to stories relating to this heroin epidemic. Also: This one is a biggy... This is about the Apple Harvest Parade in October. How many of you would be interested in walking in the parade as a group? I know it is still months away. They haven't put the parade sign up yet on their website which is why I thought now is a good time to plan something like this. You guys know this one is going to be a big parade. It's election time this year! All the candidates will be in the parade! So what do you think? Please leave your comment below. I LIVE ALL AROUND YOU; IN SCHOOL AND IN TOWN. I LIVE DOWN THE STREET AND MAYBE NEXT DOOR. I’M SAFE IN YOUR POCKET, OR IN YOUR SYRINGE. WHENEVER I’M MENTIONED, PEOPLE WILL CRINGE. I HAVE MANY NAMES. THEY CHANGE NOW AND THEN. BUT I’M SURE YOU’VE HEARD OF ME, I’M HEROIN. MY POWER IS AWESOME. TRY ME, YOU’LL SEE. BUT TRY ME TWICE, AND I OWN YOUR SOUL. WHEN YOU SEE THEIR TEARS, IT WILL MAKE YOU FEEL SAD. I’LL BE YOUR CONSCIENCE. I’LL TEACH YOU MY WAYS. I TAKE KIDS FROM THEIR PARENTS; I TAKE PARENTS FROM KIDS. I TURN PEOPLE FROM GOD, I HIDE IN OLD RIGS. I’LL TAKE EVERYTHING FROM YOU, YOUR LOOKS AND PRIDE. I’LL BE WITH YOU ALWAYS; RIGHT BY YOUR SIDE. YOU’RE MONEY, YOUR TRUE FRIEND, AND YOU’LL BE ALONE. I’LL TAKE AND TAKE ‘TIL YOU HAVE NO MORE TO GIVE. THE NIGHTMARES I’LL GIVE YOU WHEN YOU’RE LYING IN BED. THE SWEATS, THE SHAKES, AND THE VISIONS YOU’LL SEE. I WANT YOU TO KNOW THESE ARE ALL GIFTS FROM ME. THAT YOU ARE NOW MINE AND WE’LL NEVER PART. YOU KNEW IT WOULD HAPPEN, MANY TIMES YOU WERE TOLD. YOU COULD HAVE SAID NO, AND THEN WALKED AWAY. IF YOU COULD LIVE THAT DAY OVER, WHAT WOULD YOU SAY? I CAN TAKE YOUR LIFE, MAKE IT SO DIM AND SORE. I’LL EVEN BE WITH YOU WHEN YOU GO TO YOUR GRAVE. I CAN SHOW YOU MORE MISERY THEN WORDS CAN TELL. This was written by D.K. 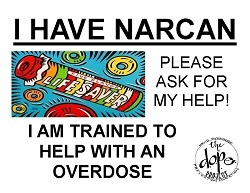 Narcan Saves Lives is hosting an event Sober Saturday. "Let's all get together and celebrate recovery. Everyone's invited. Even if you are in active addiction or family&friends of an addict please come out and join us for a fun day. Dr. Aldis will also be there to give the Narcan classes. Food and drinks provided. Moonbounce for the kiddos as well as many other games." I am not name calling anyone, but what a very powerful message in that one sentence. WOW!!!! As it relates to the fight back and forth for a local rehab and treatment center!!!! I find a lot of hope and inspiration from quotes and from songs. I have shared this with many. This song by Twila Paris, The Warrior Is A Child I consider my fight song. Having a loved one addicted to heroin is the biggest battle you can face. You love them and cannot fix them. I often get to the place where I am tired and feel I have to lay down all my weapons and rest if just for a little while. I will never give up this fight until my son is clean and sober. We do have a local NarAnon Group. The group meets every Sunday evening at 6 PM at the Trinity United Methodist Church located at 220 W. Martin St. in Martinsburg, WV. Please consider coming out. I just recently found out about this group. Our local chapter also has a Facebook Page to connect with and can be found @ NARANON of Martinsburg Our chapter of NarAnon is led by Tina Burkey Stride. 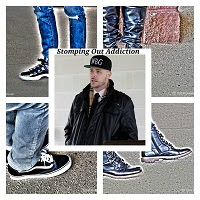 Another Facebook Group I recommend is WV Community Against Heroin and Other Drug Addictions. This group is run by Kathy Stevens Butts and was founded in memory of her daughter Tiffany who lost her battle against Heroin Addiction. Kathy is another bright angel in our community and the fight against this heroin epidemic and for this much need rehab and treatment center here in our community. "This page is for our community to unite and show support for more local treatment options, juvenile & adult drug court, and ideas to raise awareness." In the Eastern Panhandle, we surely have an epidemic of drug use and abuse, but we are ready to take on this battle. Those who are suffering need us. They need to know there is hope. Drug Abuse is not just "their problem. : It affects all of us in some way. On May 8 we will be helping to Stomp it Out and we need you right there beside us. Please join us at War Memorial Park as joining together to give God his praise. There will be live entertainment, personal testimonies, activities for the children and plenty of food and drinks. Please help us by signing our petition and continue sharing this petition with everyone you know. 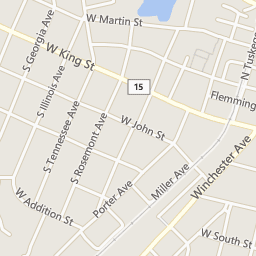 Berkeley County, WV, and Martinsburg, WV We Need A Drug Treatment Center in our Community! Thank you for signing and for your support! "We are in a heroin epidemic here in our community. We need the treatment facility that has been proposed at the site of 750 Baltimore St.in Martinsburg, WV. Berkeley County has reached the highest level of Drug Overdose daily in the State of West Virginia. We also have the highest Drug Overdose deaths in West Virginia. Those opposed who say "Not in my neighborhood. It's too close to churches. It's too close to the schools. My property values will drop. "We've heard the excuses Not in your neighborhood? Look around you. It's in everyone's neighborhood. Too Close to churches? Inside the city limits, where do you think this activity is going on. Right in many of the church parking lots. When the churches here are putting up signs in their parking lots relating to this type of activity. It's around the churches already. Too close to Schools? Are you kidding me? It's already happening already in and around the schools here. Your property values will go down? Show us your statistics that say that. Berkeley County Council you need to complete a feasibility study. Lack of this was the biggest objection from the City council members who voted against it. Mayor of Martinsburg, City Council members, County Council Members- Wake up and look around you. In case you haven't realized this, the entire county of Berkeley (WV) and the City of Martinsburg (WV) is being consumed because of this heroin epidemic. We have lost way too many already to this epidemic already and will continue to lose many more because we need this treatment facility right here in Martinsburg. Many of the heroin-addicted have children. Many, many children in this community have already lost their parents to this heroin epidemic already. Those children of the addicted are the future of our community. Everyone is affected by this epidemic in some manner. If someone is having a heart attack and goes to the hospital- they will get treatment first and then a bed. When someone overdoses on heroin they are lucky if the treatment gets to them in time. If so, they are taken to the hospital, they are treated and released. Why? Because there are no beds available in the places they need to go for help. Why is that you may wonder? Because heroin has taken over most of the communities in West Virginia. There are no beds available. We need this facility here in Martinsburg/Berkeley County so that our own local people will get the help and treatment needed for their addiction. We are tired of hearing the excuses. We need to see the reality of this treatment center at 750 Baltimore St Martinsburg. Yesterday was too late. We need it today! To our leaders here in Martinsburg, WV and Berkeley County WV: I just read a quote: "When something major happens in this country it isn't about those who suffer the greatest loss. It is about who profits most and who stands to lose the most money should the problem go away"
If that isn't it- then to prove us who are in favor of this treatment facility wrong. We in favor of this treatment facility at 750 Baltimore St are growing by many numbers. We refuse to be silenced any longer and we will not go away quietly." On April 24, 2016, We held our first Community Vigil. Here is the video highlight of that day. Thank you, Mr. Hopkins, for this great highlight of the day!!!! Special Speaker this day was Mr. James Boyd a local vet who is 30 years clean helping us with our voice and making a difference in our community. Mr. James Boyd #staystopped. He along with Mendy Hutton and Laura Griffith are Advocates For Change. Thank you, Mr. and Mrs. Boyd, for all that you are doing and for your message. You give many families Hope that our loved ones will get clean and hopefully one day they will be giving their testimony! 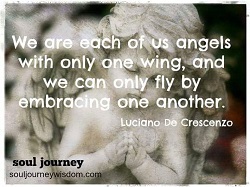 You are truly angels in this fight. Thank you to everyone who turned out today to talk, share our stories and prayers for the Hope of a new beginning- this treatment center. For healing for our community. "Providing confidential assistance for addicts to enroll them into a treatment program. We also offer means of support to more effectively maintain their sobriety. " "This page was developed to help bring awareness of the rapidly growing Heroin Epidemic in Berkeley and surrounding Counties within the Eastern Panhandle of W.V. Our goal is to end the stigma associated with the disease of addiction, educate individuals, provide support and resource options from those touched by this disease. We cannot change what we do not acknowledge. Knowledge is power. There is strength in numbers and as a community, it is our responsibility to become part of the solution and not the problem. "EVERY life matters". When things like this happen often the only thing you can rely on is your faith to get you through. I've prayed so many prayers. 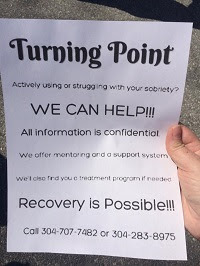 Last year we started hearing that our town leaders were proposing a Treatment and Recovery Centerhere in Martinsburg, WV. The site already had a building that was sitting empty for many years at 750 Baltimore St. in Martinsburg. What a relief!!! Finally!!!! But then as often happens, a fight began over this treatment center by our town leaders: Martinsburg City Council and Berkeley County Council. It began as the usual: Who is going to pay for it? Here we are all these months later and we are no closer to seeing this treatment center become reality. Meanwhile, the numbers of overdose continue to rise. The number of deaths continues to rise. I and others are starting to realize that this recovery center won't become reality until it hits the town leaders doorstep. OR Has it already? For months, while in prayer for my own son I get this feeling that I am supposed to do something? For a time I wondered is there a lesson I am supposed to learn from all of this. A few weeks ago my son did something very stupid to get his fix. It hit me one day. If they refuse to listen to our voices, our begging, and pleading for this treatment center... maybe then we have to show them in a huge way. It hit me. What if I went to the site and started a memorial? I am not facing this struggle all alone. There are many other families struggling. Many do not know the resources out there. I know I didn't. There was a feeling that I have to ask others. This feeling weighed heavy until one day I just said a quiet prayer... Lord, if this is what I am supposed to do then you know I cannot do this alone. Show me in some way. Lead me to someone else who can help. A little while later I signed onto Facebook and visited a local group page for Heroin Awareness and although I had been hearing his name and reading the stories in the newspaper about him I really didn't know who Mr. James Boyd was but for some reason, I was led to contact him. I did. I thought, Oh My Lord this fellow is going to think I am a real loony. He doesn't even know me. Within a few minutes, he contacted me back wanting to hear more about this Community Memorial and Prayer Vigil. We spoke of the legalities of gathering at the site and having a time of reaching out, hearing about the resources and sharing stories and praying. We held this on Sunday, April 24, 2016. Many thanks to everyone who came out that day. (Which I will be sharing) Many thanks to those in the political field running for office who came out that day in support of us. Many thanks to Jenni Vincent a writer for our local newspaper, The Journal who came out and is sharing our stories. She is very passionate about this heroin epidemic our community is facing. Of course, it made front page news but wasn't shared on The Journal Facebook page that day but that is okay. She did a wonderful job on the stories. I checked these links and they've removed them from their archives and I have no idea why. First, let me tell you how this came about. I am the mother of an adult son addicted to heroin. He has struggled with this addiction for the last eleven years. In and around 2011/2012 he detoxed and was clean for about two years. I don't know what happened. When your children don't live with you any more things can just get out of hand. Heroin addiction was beyond our control. You may be wondering what this blog is about. It is about our community here in Martinsburg and Berkeley County in West Virginia. It is about the growing heroin epidemic here in our community. The heroin epidemic has been growing in numbers for many years now. It has already taken too many lives. Too many families are suffering watching their loved ones struggle with heroin addiction. Now is the time to wake this county up to the effects that heroin is having on our community. They have heard the cries, the plea's and yet the proposed site of the Rehab and Treatment Center still set there an empty building. It is a time that we show them how much our community needs this. It is time to put faces and names to everyone who has been or is affected by this poison in our community. 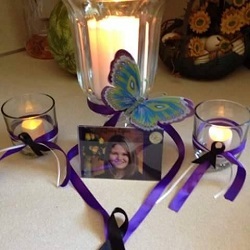 You are welcome to bring flowers, candles anything you wish to memorialize your loved ones or friends. Maybe if they can see by showing them a public display of our memorials, our cries and plea's to get this Rehab Center here maybe then they will stop the fighting about it, and start making a difference to those of us dealing with this, those who have lost a loved one to heroin, those who are using, those who struggle with this disease each and every day from the effects of heroin. This is a blight on the entire community, not just to those suffering because of a poison called- Heroin. 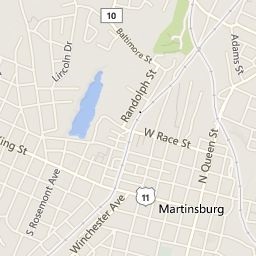 Martinsburg is the county seat of Berkeley County. We have the highest number of heroin overdoses in the State of West Virginia. We also have the highest number per capita in the state. Those numbers are nothing to be proud of. In the future, I would love to share your stories here. From triumphs and lows, your loved ones. Stories of success and families with a loved one struggling. Please be patient. This blog is still early and under construction.